Great news in South African entertainment. PJ Powers - Walk In My Shoes. PJ Powers has done it again. She knocked the wind right out of us with her remarkable new release. Known to the people as Thandeka, PJ Powers is back. Her involvement in social progress programmes is a continued endeavour to which our beloved Thandeka is most devoted. If there is one thing we are sure of it is that she is for the people. However, PJ Powers came to the stage to sing. In all her glory she is a musical artist as well as an activist. With that said, PJ Powers is back with a remarkable rendition of her latest creative work, Walk In My Shoes, in which she projects her work and passion for the betterment of the people. The new song was released in February and plays on various radio stations. Keep it up, PJ, we are looking forward to more inspiring music. Further on the music front, we have the upcoming Afrikaans is Groot festival. Afrikaans is Groot is the biggest Afrikaans festival of its kind in the world. The festival just had an event in Cape Town and will have another event later this year in Pretoria. Some of South Africa's best Afrikaans musicians and singers will be there to give you an amazing show. 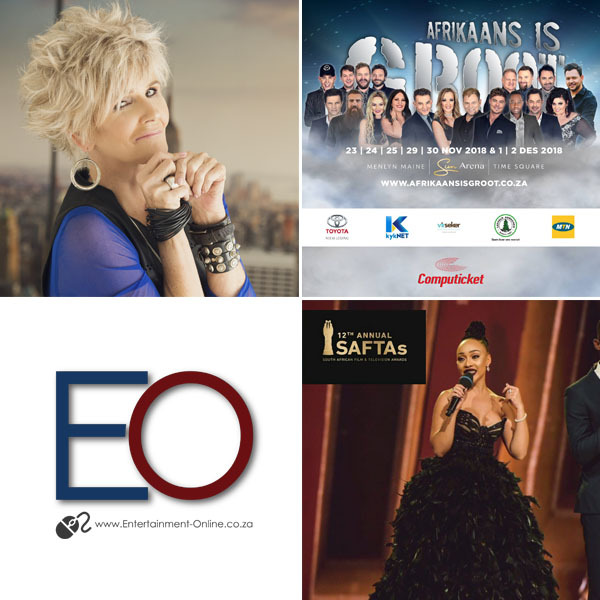 Some of the artists you can expect to see is Juanita Du Plessis, Steve Hofmeyer, Bobby van Jaarsveld, Theuns Jordaan, Laurika Rauch, Die Heuwels Fantasties, Lianie May, Karlien van Jaarsveld, Jay, Riana Nel, Dewald Wasserfall, Jannie Moolman, Elvis Blue, Snotkop, Corlea Botha, Touch of Class, Monique Steyn and so much more. According to the festival website, a suprise is also expected. Date: 23 November to 02 December 2018. Finally, March saw the 2018 South African Film and Television Awards. Thando Thabethe, best known for her role as Nolwazi Buzo in Generations, hosted the South African Film and Television Awards for a second year in a row. The event was held at the Sun City Super Bowl and co-hosted with fellow broadcaster, Phat Joe. The Red Carpet was hosted by Kuli Roberts and Robisang Thandekiso, while Somize Mhlongo appeared on the Red Carpet and backstage as part of the McCafe and those moments in between. We are proud to see Thando achieve this honour a second year in a row.